Sarah has worked with young people with special needs for over a decade. After finishing a degree in English Literature she began working as a support worker for pupils with PMLD before training as a mainstream primary teacher. Sarah then moved over to the secondary sector, delivering the Key Stage 3 curriculum in English, maths, history, geography and R.S. to pupils who were not ready emotionally or academically for secondary school. She then worked as Head of Special Needs (SENCO) before taking a position as assistant head at a PMLD school in Manchester. Sarah started working at Reddish Hall in September 2015. She is the designated safeguarding lead and SENCO and also the designated person for looked after children. 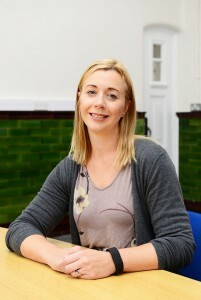 Sarah was appointed as Headteacher in January 2019. Sarah has a speciality in teaching children who have ASC.